Working Management in association with Hayes Theatre Co is thrilled to announce the cast of Jerry Herman’s MACK AND MABEL, which will play a strictly limited season at Hayes Theatre Co from November 18. A dazzling musical comedy that is both a poignant love story and a joyous celebration of Hollywood’s golden age, MACK AND MABEL is based on the real-life tumultuous romantic relationship between early 1900s legendary filmmaker Mack Sennett and accidental starlet Mabel Normand. Joining Scott Irwin as Mack and Angelique Cassimatis as Mabel (annlounced previously) is Deone Zanotto (West Side Story, Broadway’s A Chorus Line), Stephen Valeri (First Date: The Musical), and Kuki Tipoki (Sweet Charity, Little Shop of Horrors). 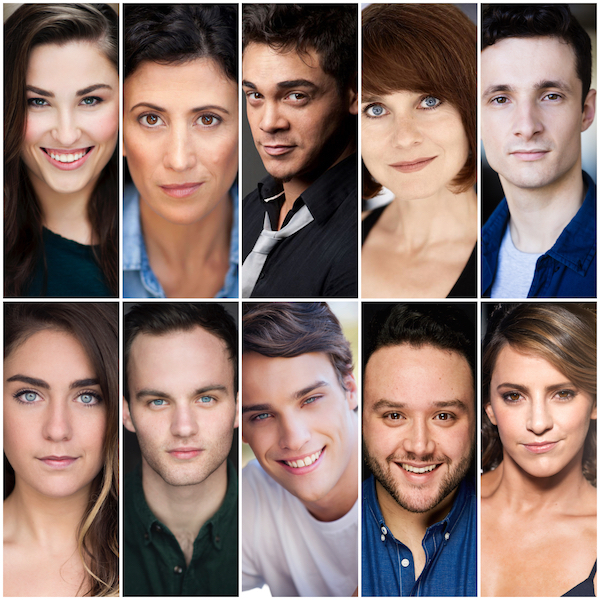 The supporting cast of triple threats includes Caroline Kaspar (Chicago, Hot Shoe Shuffle), Sally Hare (Girls on Tap, Carmen), Mikayla Williams (Dance Academy, Glinda in Packemin’s Wicked) and recent graduates Shay Debney (VCA), Adam Di Martino (VCA), Jessica Voivenel (WAAPA) and Zachary Webster (Brent Street). See our previous article on Mack & Mabel here.